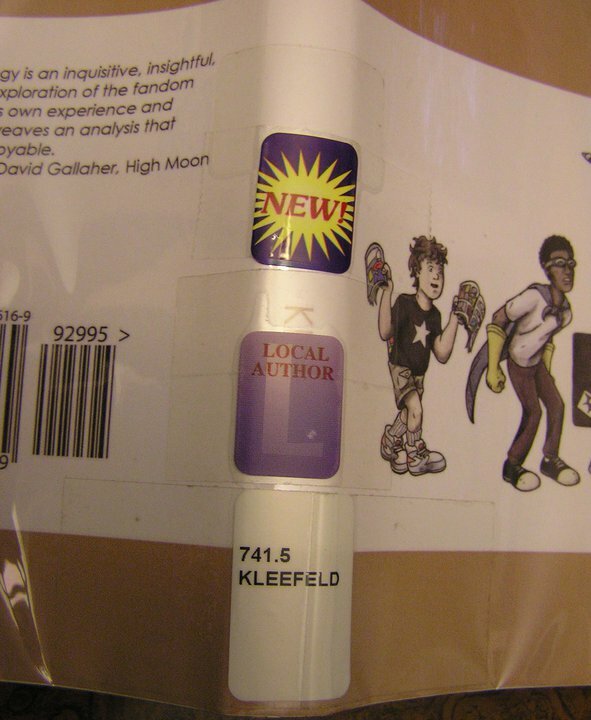 Kleefeld on Comics: I've Been Libraried! See that? That's the copy of my book that's housed in the Avon Lake Public Library, pretty much next door to where I grew up. The photo is courtesy of my buddy Jeff, who also helped to get the book in the Library in the first place. My friend also notes that a copy is registered in Porter Public Library in Westlake, but it happened to be checked out (!) when he was there last. If you'd like to get your hands on a pulped wood copy of my book, but can't afford a copy yourself, ask your local library to get one!